We recently trained our daughter to sleep without the pacifier. Although a difficult first few nights, she can now live without it. Before I share our secret, let’s discuss the ramifications of pacifier use. 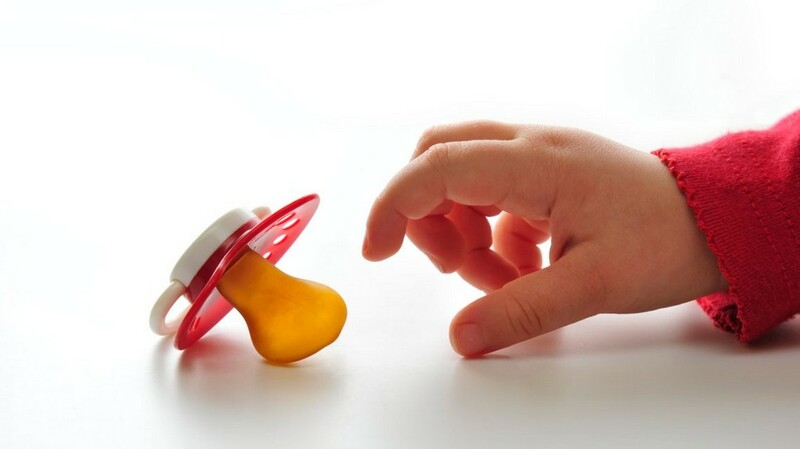 Pacifier use does not just affect teeth. It can affect your child’s oral-facial development. Prolonged pacifier use can change the shape of the roof of the mouth, making it narrower which can make it difficult for your child to breathe through their nose. This promotes “mouth breathing” which can contribute to sleep problems, ADHD, receded jaw, and future TMJ and headache issues. When you are sleeping, your mouth should be closed. Anything that interferes with this can lead to sleep pathology. Many children who used pacifiers as a toddler, end up needing to get a palatal expander later in life. Back to the million dollar question: How did we get our daughter to let go of her paci? It’s never a one size fits all. Just because it worked for us doesn’t mean it will work for you. It’s important to sit down with your partner to see what works best for your child. The night we gave up the pacifier, we bought our daughter a baby doll. We also cut the tip of the pacifier, rendering it useless. Before bed, we got her attached to the baby doll by making her feel special she had it. When she asked about the pacifier, we gave her the cut one and said, “oh no – pacifier is broken, but you can still hold it.” We also gave her the baby doll to bring to bed as her new “comfort object”. My wife and I thought this was a great strategy because we didn’t want our daughter to think we were hiding her beloved pacifier. Although she woke up crying the first few nights, her sleep is now improving, and we all sleep better knowing that we support her proper development! It’s hard to hear your child cry, but it’s important to understand that it can significantly help them later in life.